A gray fly with bulging eyes buzzes closer. It flits around before settling onto a metal grid for a brief moment. A sizzling sound grows, before crackling loudly, as the fly is brutally electrocuted before everyone’s eyes on the electric fly trap. The fly seizes, then drops out of frame. In the room, there is a chorus of slightly horrified gasps, then silence. The silence is soon burst by giggles in the dark as a boy onscreen professes his love for his best friend’s mother. He and his best friend wrestle angrily in the mud, just before the credits roll. When the lights come back on, Saray Deiseil and Johan Luis take the stage. They are co-directors for one of the nine short film works being shown tonight. Luis also plays the part of Ben. “This is the first screening of our pilot web series, The Entanglement,” Luis says. “Ideally, we’d love to expand to big services like Netflix or Hulu. So if anyone’s an exec. here, give us some money, please!” He clasps his fists in a pleading gesture. It is the third week of September and the Latino Film Fest is in full swing. 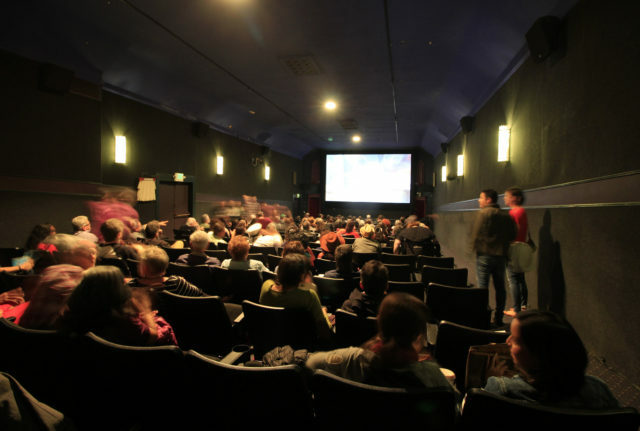 Cine+Mas is the organization managing the events as the films show on various days of the week in select theaters in San Francisco, Oakland, and Berkeley, and runs for just over two weeks at the end of September. Tonight, the theme is ‘Fantastic Shorts’ and the screen features nine different works. There’s drama, coming of age stories, fantasy, comedy, and environmental works in the line up. After Deiseil and Luis take questions from the audience about their production, Lucho Ramirez steps forward and thanks the crowd and the two producers for their time. Cheerfully, he invites the audience to the upcoming showings in the last weekend of the film festival. 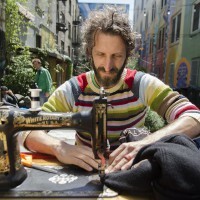 Lucho is a tall man with black hair, a bushy beard, and warm dark eyes. As the director of Cine+Mas, he has conducted the Latino Film Fest for its entire ten season run. 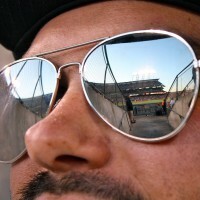 The Latino Film Fest showcases cinematic works featuring Latino people, cultural locations, various communities, and content created by Latino individuals. 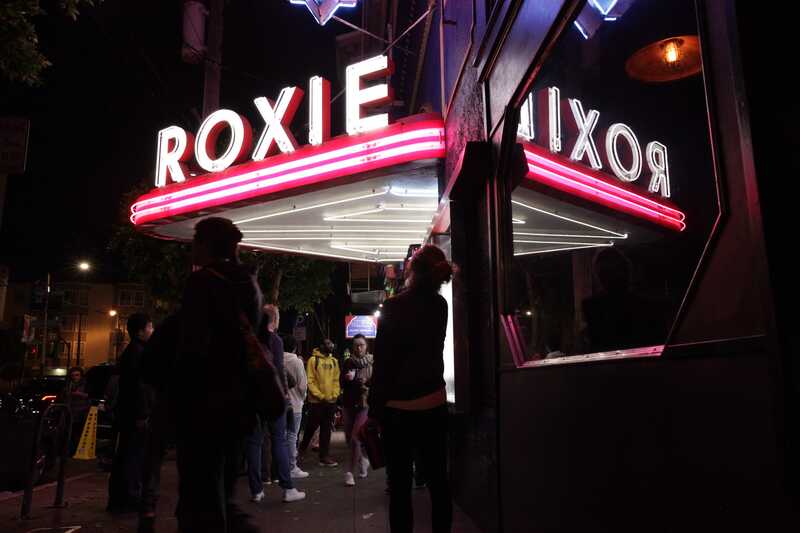 Theaters are selected as partners in the film showcases, and some, like the Roxie Theater, have been a part of the Latino Film Fest tradition for several seasons. The Brava Theater for the Women’s Arts in the Mission District recently housed the ‘Fantastic Shorts’ event. Film selection first starts with a call for entries. A staff of volunteers and organizers gather to select works based on theme, length, origin, language, and quality. Ramirez says this year was the year the staff decided to organize more showing for short films, in order to get more diversity in film topics and representation of different cultures. Latino is an encompassing term, referencing people who are from or descended from people in Latin America. But, there are many cultural differences and ethnicities. Latino people come from various countries such as, El Salvador, Panama, Honduras, Mexico, etc. “As Latinx, we all have our different stories, upbringing, environment, and circle of friends,” Deiseil asserts. The filmmaker herself is both Salvadorian and Mexican. She praises the Latino Film Fest because it features Latinx talent and diverse cultures that break away from common media stereotypes. The entire evening of the premiere, her smile has hardly left her face. At one point, after the Q&A, Deiseil bends down to speak with a young girl who had been insistent about meeting the director. Like Deiseil, the toddler is Latina and they have matching brown hair and brown eyes. “I chose the SF Latino Film Fest to be able to premiere amongst family because that’s how it feels when you’re there,” Deiseil says. Jay Lopez, a Honduran filmmaker and first time volunteer for Cine+Mas, feels strongly about levels of representation in Latino films. 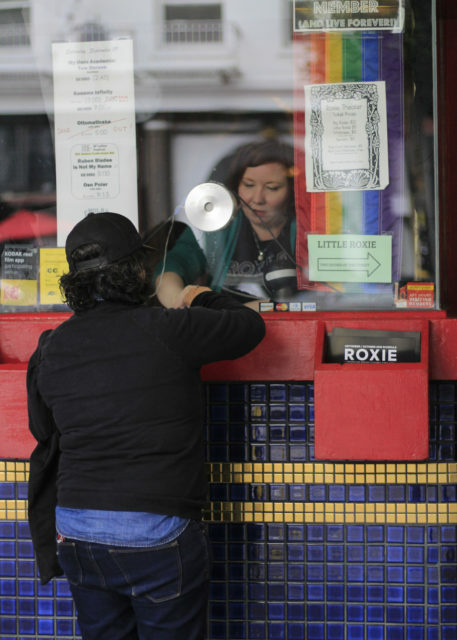 Lopez’s most recent film, Love, Cecy, opened the first weekend of the Latino Film Fest at the Roxie Theater in the Mission District. The film retells the story of Cecilia Rios and her life as a fifteen-year-old girl in Richmond, California before her untimely murder in 1994. As Lopez states in the biography of his film, the story is not just a Latino story so much as it is a human story. 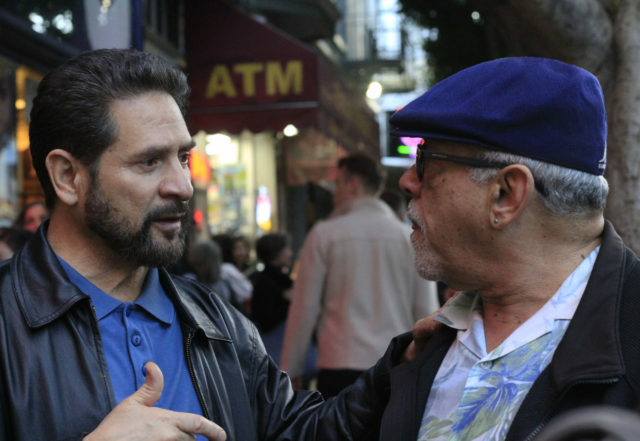 Lopez’s first film, Sin Padre, features a young Honduran man struggling with school troubles and identity in the Mission District of San Francisco. Sin Padre debuted at the Latino Film Fest in 2012. Some films in the festival focus on the tribulations people face, while some make light of universal everyday experiences, and others celebrate the names people come to recognize and revere. The Roxie Theater, flooded with people out on a Saturday night, readying themselves to see the new 2018 documentary, Ruben Blades Is Not My Name. Ruben Blades is a famous singer and musician who brought salsa to the forefront of media in the 1970s. He invigorated thousands of fans with his lively and socially charged lyrics that challenged political systems in Latin America. The love for this artist is still strong today, evident by the hoots and cheers of the audience that add to the soundtrack of the movie. Onscreen, Blades calls out to different Latin countries, calling out their names to hear their people shout back their pride and their presence. As country by country is said, people sitting in the theater shout their acknowledgement back at the screen. Members of the audience laugh and sway to the salsa in their seats. When the showing is over, the crowds of families, friends, and couples all assemble outside on the street. The salsa has stayed with him throughout his life, as he moved from New York to the West Coast. Romero continues to spread the joy of salsa with his musical group, Mazacote, as they play shows locally in San Francisco. His friend, Marvin Ramirez, stands off to the side, near the theater entrance. He appears lost in thought as he considers the Ruben Blades documentary. As the night wears on, the crowd dwindles from the Roxie. Ramirez and Romero shake hands and heartily say their goodbyes to their friends. The sidewalk clears and the Roxie Theater billboard sign continues to shine fluorescently above 16th Street. The tenth season of the Latino Film Fest draws to a close.